Jeep Cherokee has returned to the Australian market with a new model that features legendary all-terrain ability, improved fuel economy, enhanced on-road ride and handling, more than 65 safety and security features and progressive interior and exterior design. The new KL model, which follows the XJ, KJ and KK Cherokee models, also brings numerous firsts and best-in-class features. It is the first mid-size SUV on the market to offer three advanced, class-leading four-wheel-drive systems with one- or two-speed power transfer units: Jeep Active Drive I, Jeep Active Drive II and Jeep Active Drive Lock. All four-wheel-drive systems feature rear-axle disconnect, which activates when four-wheel-drive capability is not required and reduces energy loss and improves fuel efficiency. This is a first in the automotive industry. KL Cherokee is also unique in its segment in offering a nine-speed automatic transmission, which provides fuel efficiency gains, refined shifting and enhanced on and off road driving performance. Four models are available from launch: Sport, Longitude, Limited and Trailhawk with two powertrains that are new to the Cherokee line: the 2.4-litre TigerShark l-4 and the 3.2-litre V6 Pentastar. “The all-new Jeep Cherokee will be the benchmark for mid-size SUVs with a new level of on-road driving dynamics and fuel economy, while at the same time improving the 4×4 capability that customers expect from Jeep,” said Mike Manley, President and CEO – Jeep Brand. The TigerShark engine, which is fitted exclusively to the two-wheel-drive Sport model, helps Cherokee deliver a 33 per cent improvement in fuel economy over the outgoing model while delivering an impressive 130kW of power and 229Nm of torque. The 3.2-litre V6 Pentastar provides 200kW and 316Nm of torque but with a 20 per cent improvement in fuel economy over its predecessor. Jeep’s renowned Selec-Terrain system makes its first appearance on Cherokee, fitted on the four-wheel-drive equipped Longitude, Limited and Trailhawk Cherokee models. There are up to five modes to provide optimal traction for specific conditions: Auto, Snow, Sand/Mud, Sport and Rock. Cherokee provides enhanced handling and improved road manners thanks to a new body structure, more than 65 per cent of which is fashioned from high-strength steel. This delivers new levels of torsional stiffness. It also has new front and rear independent suspension systems, and all models are equipped with frequency-sensitive damping shock absorbers that automatically adjust to input from the road. Its speed-sensitive electronic power steering system also automatically adjusts for limited effort during parking or increased steering effort on the open road. An enhanced aerodynamic package contributes to improved fuel economy, smooth on-road dynamics and NVH properties. Advanced styling in and out complement KL Cherokee’s advanced powertrains, with a cutting-edge exterior design characterised by its slimline daytime running lights and iconic seven slot grille. The interior features advanced design, world class fit and finish and numerous storage and convenience options. Multiple trim levels and colour choices allow customers to personalise Cherokee to their taste. All models come with a centre stack mounted Uconnect multimedia touch screen to control the vehicle’s functions and systems, 12.7 centimetre(5.0-inch) on Sport and Longitude and 21.3 centimetre (8.4-inch) on other models. An available seven-inch full-colour LED reconfigurable instrument cluster allows the driver to receive information and feedback in their preferred format and display elements such as real-time fuel economy, driveline information and turn-by-turn navigation. Cherokee features Jeep’s newly-designed corporate steering wheel, which includes Electronic Vehicle Information Centre (EVIC) audio, voice and speed controls. KL Cherokee’s safety systems include options that are new to mid-size Jeep SUVs: Blind-spot Monitoring, Rear Crosspath Detection, Forward Collision Warning Plus, LaneSense Lane Departure Warning Plus, and reversing camera dynamic grid lines. It is also the first Chrysler Group vehicle to feature the ParkSense Active Park Assist System, which automatically steers the vehicle into parallel and perpendicular parking spaces. Cherokee’s 7 standard airbags include front & rear side-curtain airbags and front seat-mounted side airbags. Fiat Chrysler Group President and CEO Veronica Johns said all-new Cherokee would provide Australian customers with a new and compelling choice that also set new standards for its mid-size SUV rivals. 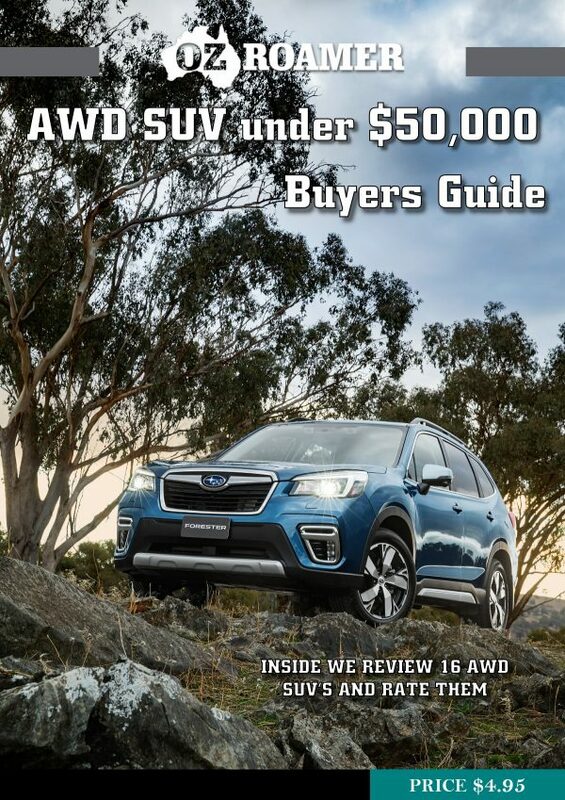 “Cherokee is one of the most anticipated vehicles to enter the Australian market this year, bringing unmatched all-terrain capability, the segment’s first nine-speed automatic transmission and bold, distinctive styling,” Ms Johns said. All-new Jeep Cherokee will be on sale in Jeep dealers across Australia from June 2014.